JOEL SELVIN’S “ALTAMONT” HITS THE BEST SELLER LIST!!! San Francisco’s and Open Source’s own music expert Joel Selvin‘s current book, Altamont, has found itself on the best seller list. 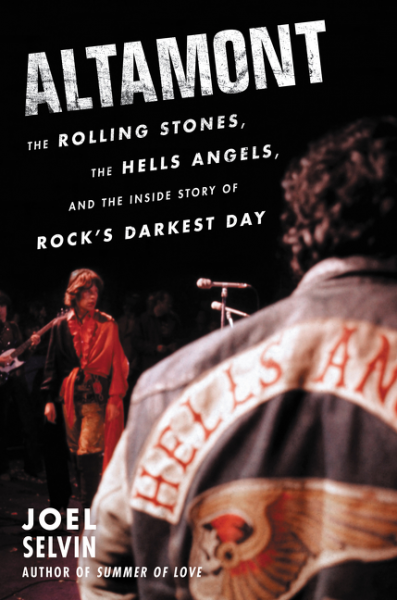 Joel has written the definitive account of that dark day in rock’s history. He explains how a murder could occur in front of 300,000 music fans, without any witnesses. Joel’s account of the events of that fated festival is riveting. The book takes us thru the preparation for the event to its conclusion with all the details only a newspaper man like Joel could smoke out. Let’s support Joel!!! Buy the book. « Can A Song Questioning The Use Of Guns On T.V. Be Entertaining?